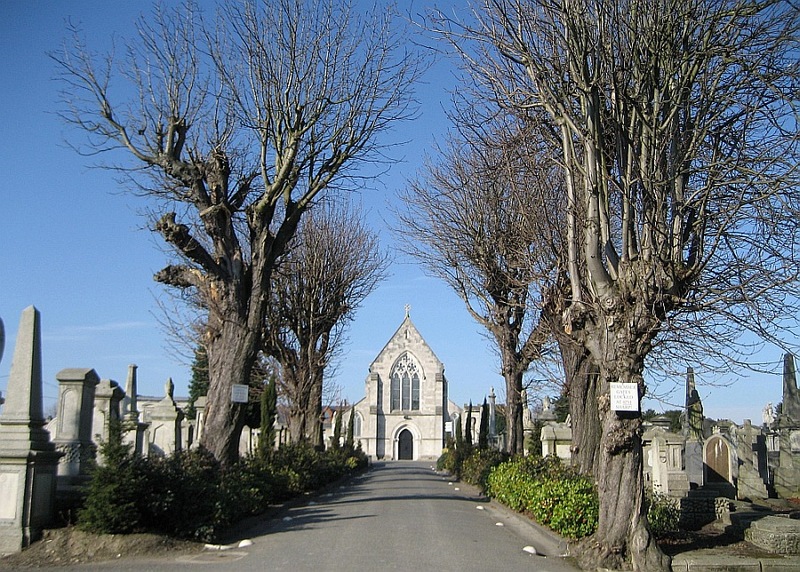 On 19 September 1836 Mount Jerome Cemetery, Dublin, Ireland was consecrated. Reverend Stephen Jerome, then vicar of St. Kevin's Parish gave the cemetery its namesake through the estate he established in his own name. Mount Jerome was the first privately owned cemetery in Ireland, when it first opened in 1836. It got a famous mention in James Joyce's Ulysses, as it was the burial ground for many of Dublin's Protestants. It was not until the 1920's that the first Catholic burials took place there. "Then Mount Jerome for the protestants. Shovelling them under by the cartload doublequick. Thousands every hour. Too many in the world." In Mount Jerome Cemetery Dublin there is a monument in memoriam to the Wilde family - family of Oscar Fingal O'Flahertie Wills Wilde or as we all know him - Oscar Wilde, Irish writer and poet. After writing in different formats throughout the 1880s, he went on to become one of London's most beloved and popular playwrights in the early 1890s. Other people of note buried there include Thomas Davis, Joseph Sheridan Le Fanu, John Millington Synge, Jack B. Yeats, Sir William Rowan Hamilton and George Petrie.